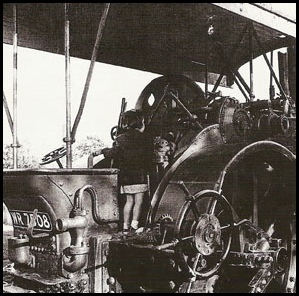 The Pudsey Roller was built in 1921 by John Fowler & Co (Leeds) Ltd at the Steam Plough Works, Hunslet, Leeds. It is a type DN, Works No 15752 and carries the Registration Number WR 7508. At some time it is known to have been given the name Majestic. 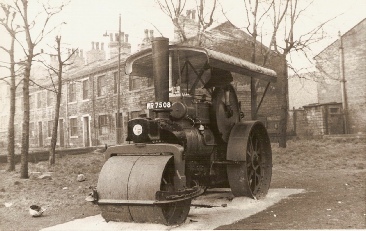 The roller was supplied to Yorkshire’s West Riding County Council (although it is not known to have worked in Pudsey) and when its working life ended in 1959 it was bought by Alderman Sir Walter Ward and presented to the Borough of Pudsey. For the pleasure of generations of children it was placed in the playground of Pudsey Park. On the reorganisation of Local Government in 1974 the Borough of Pudsey was incorporated into an enlarged City of Leeds. 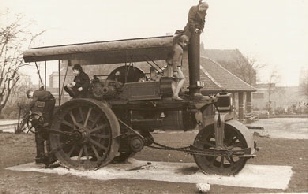 In 1990 the roller was removed from the park by Leeds City Council on safety grounds. 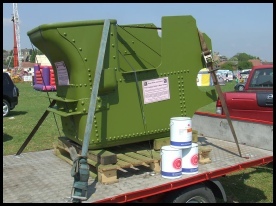 After many years of neglect there were various attempts by groups and individuals to find a means for the Pudsey Roller to be restored. Success eventually came following several years of negotiations. On 5th March 2007, agreement was reached between the Road Roller Association (Est. 1974) and Leeds City Council whereby the Pudsey Roller would be loaned to the Association for a period of 25 years with subsequent extensions available providing it is agreed that the best endeavours have been made by the Association to comply with the terms of the loan. 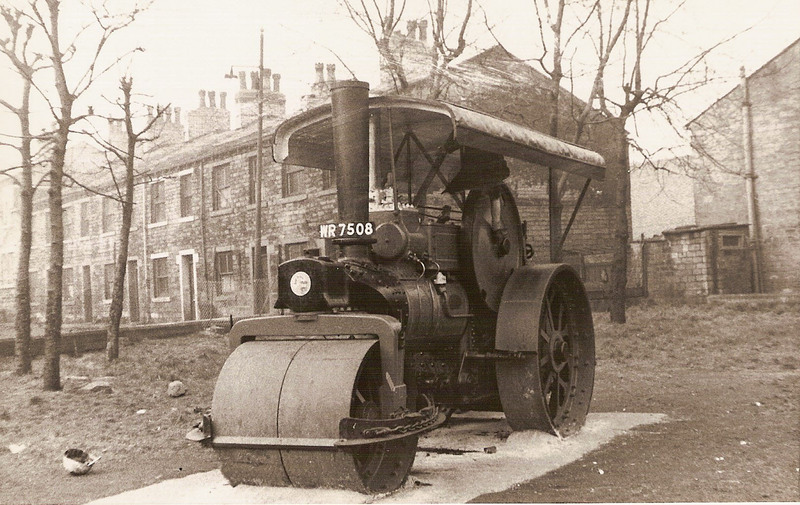 The Road Roller Association’s Pudsey Roller Restoration Fund has received several generous donations for which the Project Committee is most grateful. As a result of a display and sales stand appearing at various events held at Pudsey Civic Hall and other locations in the vicinity, including Pudsey Carnival, membership of FoPR has increased. It is manned by FoPR members. 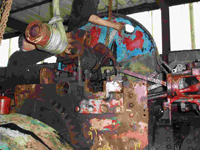 Local publicity resulted in approach from Leeds City College such that students have become involved in producing several new components that had gone missing from the roller over the years and also repairing and renovating others. This was considered to be a very appropriate community project for them. Decisions have been made to spend some of the money raised in donations and from sales and, as a result, a contract for the manufacture of a new tender for the roller was let with the Hunslet Steam Company of Tamworth Staffs. 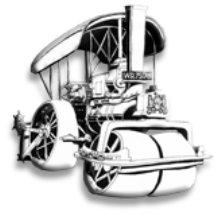 The quoted price was good and it was felt an appropriate named firm for such a contract as the roller was built in Hunslet, Leeds. 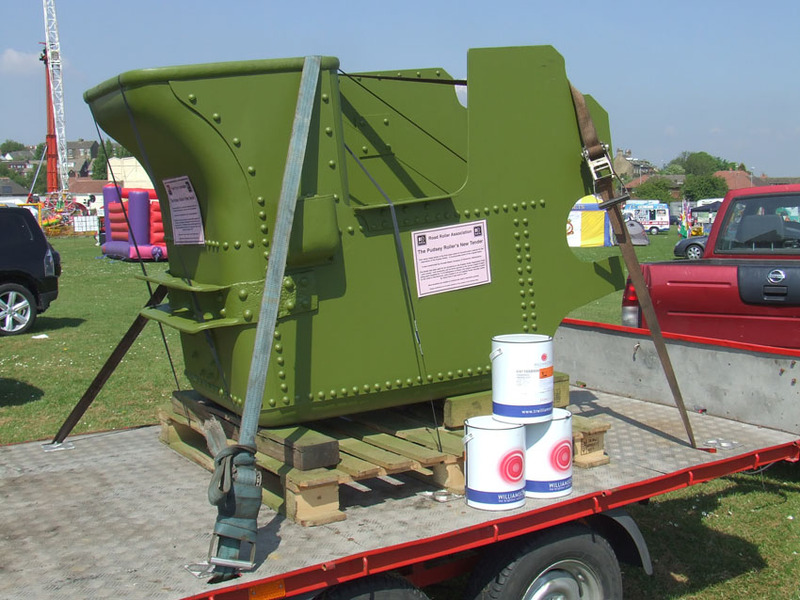 The roller’s brand new tender – in primer – on display at Queen’s Park, Pudsey, after being part of the Pudsey Carnival parade. Also on the trailer are tins of Williamson’s paint which will be used on the roller in due course. 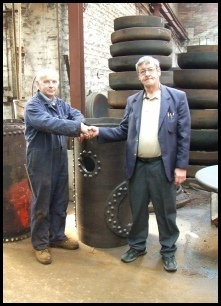 In addition, a new boiler barrel has been purchased from Newton’s Boilerworks, Idle, Bradford. At the inception of the project, this local firm very generously pledged the production of a new front tubeplate and consequently these two items have been made together to ensure a good fit. The new boiler barrel was made locally by Israel Newton & Sons at their Idle Boilerworks in Bradford. It is seen being handed over by Gordon Newton (left) to the chairman of FoPR, Derek Rayner. 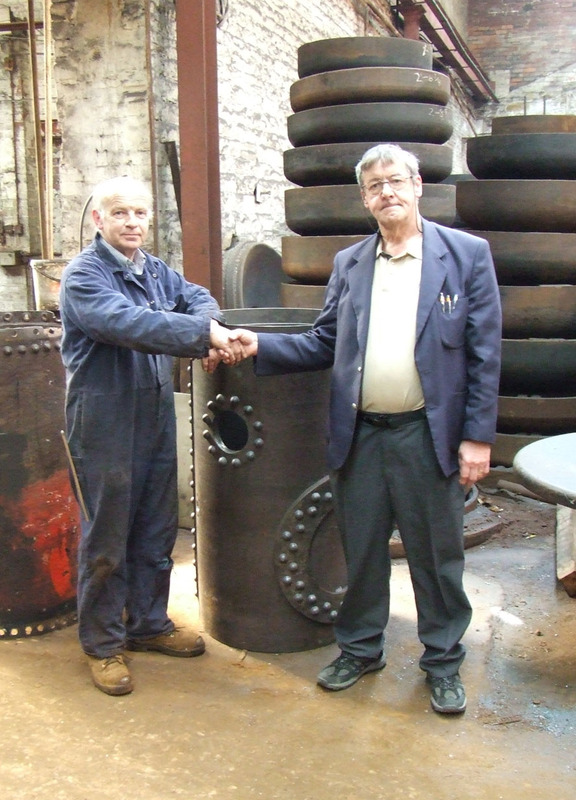 A new chimney has been produced by a local steam roller owner and his son and they have also contributed considerably by providing sand-blasting facilities for many of the roller’s smaller components. 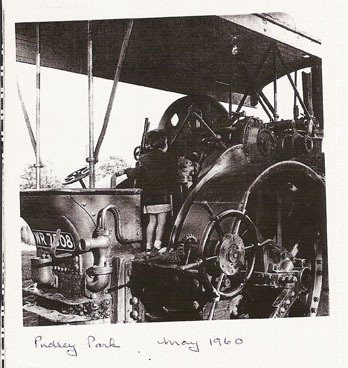 The new rolled ring for the chimney top was made by a firm in Morley and they are also rolling a new smokebox for the roller to replace the existing one which was extremely corroded. A large quantity of paint has been purchased at a substantial discount from T&R Williamson’s of Ripon – the firm which provided paint in the 1920s for Fowler’s products and were able to match the shade of black required for the roller from their records. 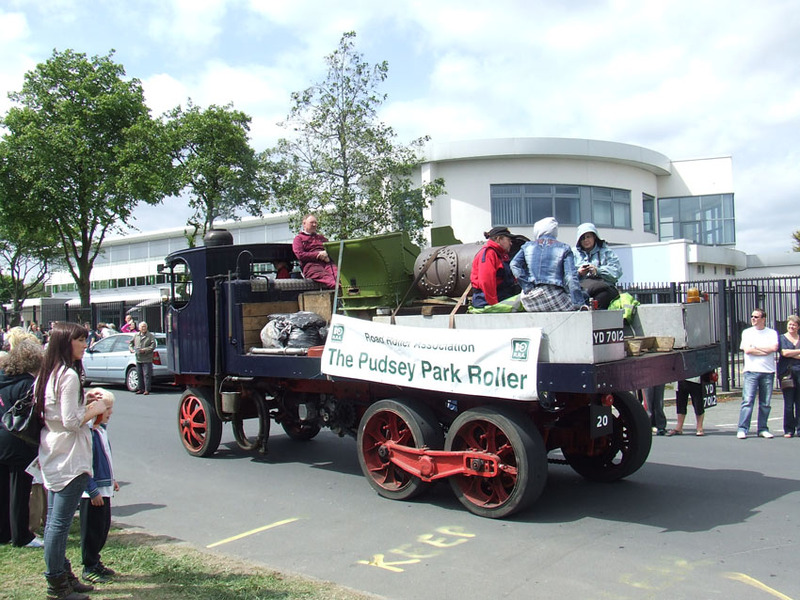 Various new components for the roller have been paraded around the streets of Pudsey on the back of a Sentinel steam wagon in the Pudsey Carnival parade. Following the procession, they have been able to be seen in Queen’s Park along with the display and sales stand. We are grateful to Ian Fearnley for his wonderful co-operation in allowing this very public display of progress to happen. 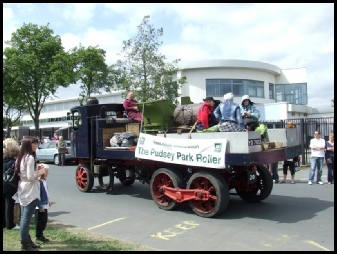 It is the eventual intention that, when completed, the roller will hopefully take part in the Pudsey Carnival so that everyone in Pudsey can see and enjoy the roller again – even though they will not be able to play on it as was the case in the past. 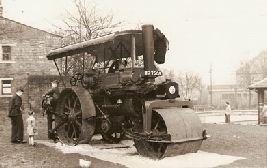 At the same time as the loan arrangement with Leeds City Council was finalised, the Road Roller Association started the Pudsey Roller Restoration Fund in order to raise money for the roller’s restoration and return to steam. 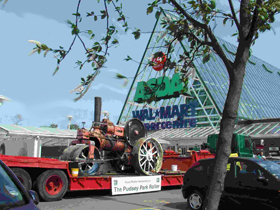 In April 2007, the Pudsey Roller was moved by low loader from the Leeds City Council storage yard and displayed, to the delight of the people of Pudsey, both in the Market Place and also at the nearby Owlcotes Shopping Centre. During the August Bank Holiday of that year it made an appearance at the Harewood Family Steam Weekend. 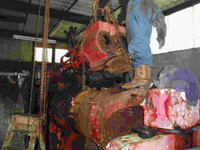 Restoration was started shortly afterwards and commenced with dismantling the roller and assessing what was required to return it to steam. This voluntary task is in the hands of a very capable restoration team and is being undertaken at premises in north Leeds. An assessment carried out as a result of what has already been found during the dismantling process indicates that a new boiler barrel, a set of tubes, new firebox, smokebox and a tender will be required. A new ashpan is also being sourced to replace this item which was missing.